Before I share today’s project, this is your friendly reminder that we are down to the last TWO DAYS of the 2017-18 Annual Catalog and all Retiring Items are available while supplies last. It’s a sad day. 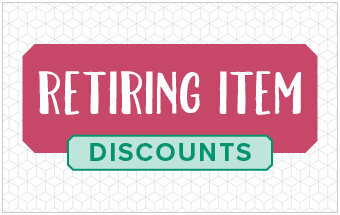 There are lots of fabulous stamp sets and products that are retiring along with all those ink and card stock colors that are retiring as well. Did you stock up on your reinkers and card stock? Don’t delay – tomorrow is the last day. I always have the best of intentions to get my Customer Thank You cards out earlier in the month, but sometimes it just doesn’t happen. I won’t bore you with all the details, but we are racing at full speed toward the end of the school year. And this year we have a high school GRADUATION too. I’m not sure when it happened, but our son grew up. Yikes! Only twelve more school days and we still have two banquets, Prom, all the Senior activities, and Graduation. So you can see my attentions have been focused elsewhere lately. Today I am sharing my April Thank You card. This is already in the mail to all my customers that made a purchase in April either online or at an in-person event. This card uses the brand new Abstract Impressions stamp set. This stamp set is a two-step stamp set. This means that the flower stems are a separate stamp from the flower petal base stamp set (light pink), which is also separate from the flower highlights stamp set (bright pink). For the image below, I stamped each of the three stamps twice to make the flower grouping longer. 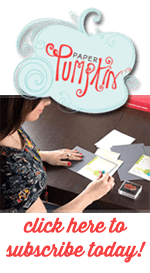 If you feel like you are “stamping challenged”, then a two-step stamp set is perfect for you to practice your skills. Two-step stamps are designed to be more forgiving if you haven’t lined it up just perfectly. To create the notch in the white card stock, I used my 1″ circle punch but only inserted the card stock halfway into the punch. This leaves room to tie that bow with the beautiful Polka Dot Tulle ribbon. This ribbon ties so beautifully and lays nice and flat on the card. This month, I’m ahead of the game. I’ve already made the May Thank You cards. I have a few extra ready to go. Make your purchase by tomorrow and you’ll get May’s Thank You card in the mail very soon. You can see that card here. Hurry and get your order in before the Catalog ends.